Being really, really pregnant is quite a singular feeling and, even though it hasn’t been so long since I was heavily pregnant with Angelica, it’s amazing how quickly your mind and body completely forget the sensation. So I thought I’d jot down some of the more beautiful and downright bizarre things that happen when you’re right at the end of your pregnancy. 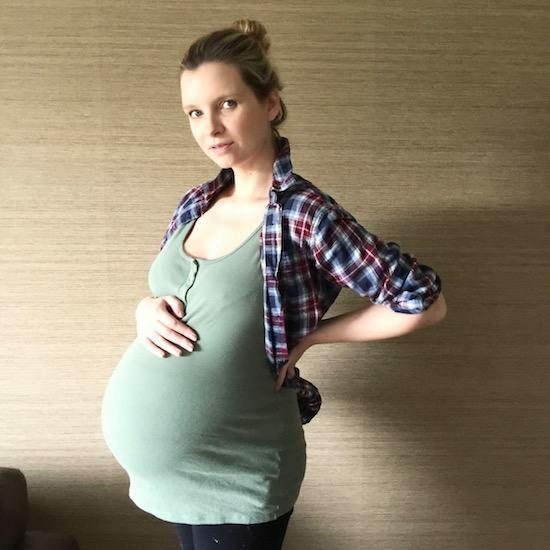 I’m supposing (as with the rest of pregnancy) that different people get different symptoms – in fact, I have even felt quite big differences between this pregnancy and the last. Though I’d put a lot of that down to the fact that Angelica was breech and I carried her in a totally different way…. 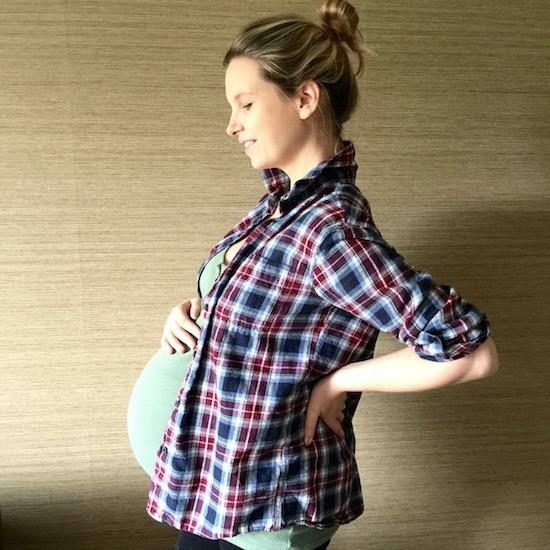 Here are the things about being heavily pregnant that I’d like to remember. Some days you feel as though your bump isn’t as big as it was the month before. I know I’m not alone in this – a few people have mentioned it. Maybe it’s because you just get very used to your size, or maybe it’s when the baby “drops down” and so more of it is “hidden” rather than “in the bump”. I dunno, but it’s disconcerting in an oh my God is the baby shrinking? kind of way. Once the baby’s head is right down in your pelvis, you lose almost all control over your bladder at very inconvenient times. Like weird, shooting sensations or strong squeezes where it feels like someone has simply crushed your entire bladder in their fist. OK, so I haven’t actually done a wee in my pants – yet – but I’ve been really close. I didn’t have this in my last pregnancy at all, again because Angelica was breech. On the subject of baby head and pelvis, what’s with the electric shocks that happen in your groin area? And in the Tunnel of Great Intimacy? One minute you’re walking along in a perfectly normal waddle, the next it feels as though the ligaments that connect your legs to your hips (or whatever) have been suddenly snipped in half. And don’t get me started on the “shocks in the vag” occurrences. Rather than the baby being this anonymous being that floats in a huge bubble of liquid, it becomes a little person that you can touch and feel as it squirms and churns around with its little legs and arms poking out all over the place. Rather than having a big beach ball on your front, it feels more as though you have a baby on your front, carried in a fleshy sack. (UGH UGH UGH. Sorry.) There’s less padding, more baby. When your bump drops, you realise how heavy it is. When you walk up the stairs, the tops of your thighs push against it. When you sit down, the baby sits on your lap. You become a huffing, puffing tank-like thing that has to grab onto the bannister in order to safely climb the stairs, and don’t even talk about getting off the floor if you’ve been changing a nappy/cleaning up dog sick/trying to find a dropped hair grip before the toddler tries to eat it. The bump is heavy, though it seems to vary in weight from one day to the next – some days it feels lighter, sort of compact and tight to the body (it’s trending more and more this way) but others it feels less wieldy, a big bulky, swinging lump that should probably have its own scaffolding support system. Weirdly, on some days I wake up totally elated and full of energy and I virtually sprint down the stairs to go and get the toddler’s milk. It worries me – I think to myself, why do I feel this good? What’s wrong? But no fear: by the time I’ve heated the milk and let the dog out and filled up the dog food bowl and the cat food bowl and hefted myself back up the stairs, I’m completely bloody knackered. Which is – incidentally – mainly what it feels like to be heavily pregnant. Knackered. I’ve been lucky that in both pregnancies I’ve felt pretty healthy and haven’t had any swellings or what have you, but man is it hard work. I’m at the stage now (38 weeks and 6 days at time of writing, though no doubt later by the time you read this) that I just want to sit down or recline – though it must be said that I am in the midst of a total work frenzy. Have been for around two weeks now – I just can’t stop working! And I’m really enjoying it! I suspect that this is my version of nesting.